Today well today...lets just say it was one of those days you dream about! Weather was perfect with a slight breeze. The Sea of Cortez was absolutely beautiful, the water color and temp was the best we've seen in awhile. We were on the hunt for sargasso, heading offshore our eyes were working hard. 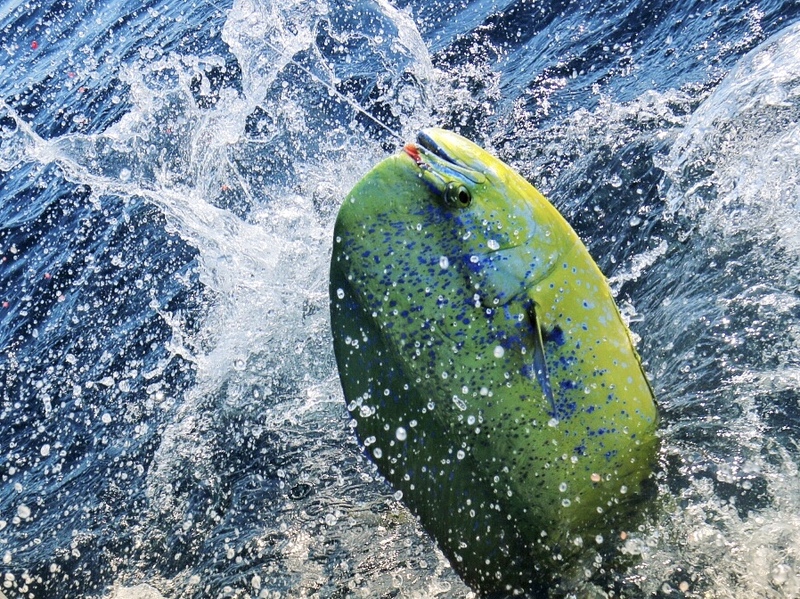 Boom there it was the paddy we were looking for, instantly spotted and started hooking dorado. We caught a few and decided to keep going further out to see what else we could find, there it was again an area of sargasso and it was "wide open" on dorado!! The dorado were everywhere. After some fun chaos we decided to keep heading out and start trolling. The dorado were so thick we couldn't get away from them haha. Here they were again striking our Magbay lures. We limited out on dorado so pulled the lines in and continued further offshore to try and find some tuna and marlin. While trolling further out we had a solid marlin strike again on our Magbay Lures, continuing on we caught and released a beautiful sailfish. Making our way back to Puerto Escondido we had a very large stripped marlin checking out our lures, it was a very large and beautiful fish, we tossed a live bait in but had no luck. This is a day we will all talk about for some time.